Book Corner: To Murder a King by James Holdstock – History… the interesting bits! My latest book review, of James Holdstock’s amazing To Murder a King has gone live over at The Review today! 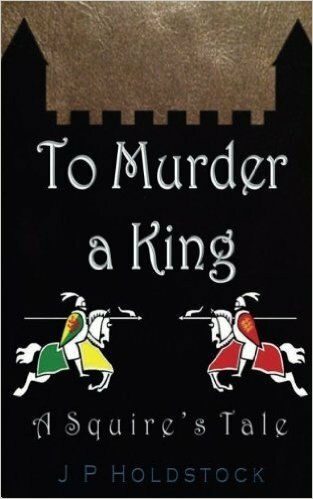 To Murder A King is the first book in James Holdstock’s A Squire’s Tale series. While it is aimed at teenage readers it is a fabulous tale for all ages. A story of murder and intrigue with a little bit of the dark arts thrown in it leaves you gripped from the first pages. Of course, it doesn’t hurt that the greatest knight in history, William Marshal, has a leading role! This novel is a fabulous adventure set in the early days of the reign of King John. Suitable for children from, about 9 and above, it is an enjoyable, entertaining read – even for an adult. It tells the story in such a way that children also learn about medieval life, politics and warfare; and even the prejudices of Normans towards Saxons….